the Skill Development Promotion Act 2002.
terminate pregnant employees’ employment on the grounds of pregnancy. The LPA prohibits an employer or any of the higher officers or positions occupied by the company from sexual harassment of any employee. The subject of harassment does not necessarily have to be a woman or child, or have a lower ranking or be among the same ranking. The violating party may face criminal penalties and a fine not exceeding 20,000 baht. Additionally, children under 15 years old are restricted to undertake only employment as set out by the LPA. However, if children under 18 years old are employed, the LPA imposes restrictions and special requirements to protect the child’s well-being. Some jobs in particular do not allow an employer to compel the minor to work (ie, smelting, working with hazardous materials, bacteria, micro-organisms, explosives, radiation, cranes, forklifts, cleaning of machinery or engines while in operation or running, electric or motorised saws, etc). The Department of Labour Protection and Welfare under the Ministry of Labour is tasked with the administration of the rights of both employer and employee as well as the enforcement of statutory employment. The Department and Ministry issue regulations if there are issues or concerns that need clarification and, in some cases, require modification of the prescribed rights under the LPA. Regarding the establishment of employee representation, the employees can form a representative body by way of an employees’ committee, labour union, labour federation or employee organisation council, subject to the conditions set out by the Labour Relation law. In cases where there are more than 50 employees in the workplace, an employees’ committee can be formed to represent the employees in respect of the employment and maintain a good relationship between employer and employee. The main goal for a labour union is to acquire and protect interests in association with the conditions of employment and to promote better relationships between employers and employees, and among employees themselves. As a labour federation is set up by more than two labour unions, the key objectives would be to promote a better relationship between labour unions and to protect the labour unions’ and employees’ interests. In addition, the labour union and labour federation may jointly establish an employees’ organisation council for promoting study and labour relations. At present, Thailand does not have any law specifically restricting the conduct of background checks. Thus, the employer is entitled to do so providing that it is not contrary to other applicable laws. While searching for or obtaining information, publicly available information is permitted, and certain information such as education, financial status, health record, criminal record or employment record, which contain the name of the employee or contain a numeric reference, are restricted per the Official Information Act 1997. These types of information cannot be obtained unless written consent is given by the person who is the subject of such information. In addition, the employer must impose the same standard on all applicants’ background checks, and it must not be a random check. Otherwise, it shall be considered as discrimination. There is no difference whether the employer conducts its own checks or hires a third party, but it must specify in the applicant’s written consent letter who is the person that the applicants give consent to, in order to prevent any disputes in the future. In Thailand, there are no specific regulations on the requirement of applicants to undergo a medical examination. Therefore, the employer may request a medical examination as one of the terms and conditions of employment. However, the National Human Rights Commission of Thailand has forbidden employers from specifying HIV as an employment condition; such violation will be considered as a violation of human rights. If the applicant refuses to submit to a medical examination, the employer has a right to refuse to hire such applicants only if there is a regulation specifying the requirement of medical examination in the company’s work rules, for the employer to have legal ground in refusing to hire such applicants. There is no restriction on drug and alcohol testing. As previously explained in question 2, there are some restrictions on the type of work that women and children can be requested to undertake by their employer. There are certain legal requirements giving preference in hiring disabled persons. The Empowerment of Persons with Disabilities Act mandates that a business or workplace employing at least 100 employees is required to employ at least one disabled person. Failure to do so means the employer shall make a payment to the Empowerment of Persons with Disabilities funding. According to section 575 of the Thai Civil and Commercial Code, it is not compulsory for the employment agreement to be in writing. Any form of activities can be considered an employment agreement, regardless of a written or oral, expressed or implied agreement. Most employment agreements are not required to be in writing to be legally valid, but it is better if they are in writing to avoid any misinterpretation or challenges in the future. Fixed-term agreements are subject to certain restrictions under Thai law. The principal statute regulates the fixed-term employment agreement under the LPA. A fixed-term agreement must be in writing and must explicitly identify that such agreement is fixed by specifying the predetermined period of employment. Also, a fixed-term employment agreement must not have a probation period. Such agreement must clearly state that the employment will terminate at the end of the period. In case the employee continues to work for the employer after the end of the agreed period, and the employer does not challenge the de facto extension, it shall be presumed that an employee is working on a non-fixed-term agreement. A fixed-term employment agreement shall expire at the time that the specified period in the agreement ends without any requirement of giving prior notice to the employee. 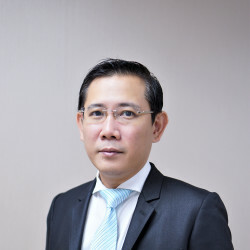 The Thai Supreme Court also set out the criteria of the fixed-term employment agreement such that the agreement must not contain a clause entitling either party to terminate the employment contract before its term without any party being in default, nor renew the term of the agreement at the end of its term. Otherwise, such agreement shall be deemed as a non-fixed-term agreement, with reference to the Thai Supreme Court Judgment Nos. 5180/2542, 6767-6769/2542 and 10432/2546. Apart from the above, there are also certain types of work for which a fixed-term employment agreement can be used, and it must be completed within two years. For example, a special project that is out of the normal sphere for the business or trade of the employer, whereby the schedule for commencement and completion of work is fixed, temporary work that has a fixed schedule for its commencement and completion or seasonal work. There is no mandatory minimum probation period in Thailand. Most employers tend to set the probation period to be 119 days or less, because the probationary employee’s employment can be terminated within the probation period of 119 days without any severance pay under Thai law. However, one month’s written prior notice must be given to the employee as the probationary employment is considered as a non-fixed-term hire agreement. The probation period cannot legally be extended. The employer may choose to extend the period for some reason. However, the employer shall be liable to pay severance and serve the employee an advance notice after the 119 days expires. The determination of a contractor and an employee is reliant on the nature and substance of the work arrangement. The Thai court will take into consideration on a case-by-case basis to determine whether an employment relationship has actually been created, regardless of what the agreement is called. Normally, the court will emphasise the two features that are the manner of the wages or remuneration payment and the scope and nature of the employer’s authority to supervise that contractor. If the wages or remuneration are paid on a regular hourly, daily, weekly or monthly basis, regardless of whether the work has been completed, the court will take this into account as the creation of an employment relationship. On the other hand, if wages or remunerations are paid in a lump sum upon completion of a certain job or project, this arrangement is more likely to be considered as a contractor. However, the method of wages or remuneration itself cannot exactly determine the difference between a contractor and an employee; the company’s or the employer’s authority to supervise the workers must be kept in mind as well. In case the company or employer grants more authority or right to orders, controls or directs the contractor in carrying out the assigned work, and the degree of independence and flexibility by way of work hours and work performance, this arrangement would be deemed as an employment agreement that is subject to statutory obligations under the LPA. Temporary workers are considered as employees under the LPA and entitled to the same rights and benefits as permanent employees as set out by law. Per section 11/1 of the LPA, the outsourced or agency workers are granted protection under this Act. The business operator who uses an outsourcing service for its personnel is considered as an employer of the outsourced workers. Such operator must arrange for the outsourced worker performing work in the same description as a direct employee to receive fair benefits and welfare without any discrimination. Practically, the business operator and the outsourcing company may come to an agreement regarding which party is responsible for the benefits and welfare to the outsourced worker and to what extent they must be arranged. No. There is no numerical limitation or quota on short-term visas. It is under the Royal Thai Embassies’ discretion to grant visas to eligible applicants. The employee is required to obtain a non-immigrant visa at the Royal Thai Embassies or Consulates-General abroad before their work in Thailand. As it is a different jurisdiction, the visa in one jurisdiction cannot be used in another jurisdiction. A spouse is entitled to work in Thailand subject to the Thai work permit and the proper visa type granted (non-immigrant visa). In addition to the compliance of Thai Immigration Law, all foreigners are required to obtain a work permit from the Department of Employment, Ministry of Labour before commencing work in Thailand. However, there are certain positions that are exclusively reserved for Thais; a work permit cannot be granted for these. The granting of a work permit is usually subject to the authorities’ discretion. The authorities mostly take into consideration the personal requirements such as holding a non-immigrant visa, being free from certain diseases, never having been imprisoned for violation of immigration laws or the Foreign Working Act at least one year prior to the date of application, the ratio of Thai to foreign workers, the paid-up share capital and other criteria set out by law. It is an offence for a foreigner to be working in Thailand without a valid work permit, resulting in imprisonment of up to five years or a fine from 20,000 to 100,000 baht, or both. In case a foreign employee works or provides services different to those described in his or her work permit, the foreign employee may be liable for a fine not exceeding 100,000 baht. a foreign employee who holds a work permit of another employer. If the employer assigns a foreign employee to do work and provide services different from those described in his or her work permit, the employer may be liable for a fine not exceeding 400,000 baht per foreign employee. In addition, if an employer fails to notify that the employment of the foreign employee has been terminated or such a notification comes after seven days from the effective termination date, the employer may be liable for a fine not exceeding 100,000 baht. If an employer confiscates a foreign employee’s work permit or personal identification card, the employer may be subject to imprisonment for a period not in excess of six months, a fine of not more than 100,000 baht, or both. In Thailand, the labour market test is not compulsory for obtaining a short-term or long-term visa for working in Thailand. However, the applicant wishing to apply for a long-term business visa is required to submit any proof of the need to employ the foreigner; this can be in the form of an affirmation letter that there is no suitably qualified and experienced Thai citizen readily available to fill that position. Yes. The maximum working hours are fixed at eight hours per day and 48 hours per week, or seven hours per day and 42 hours per week for jobs considered hazardous to health. There are exceptions for certain occupations. The employee and employer may agree to an arrangement of working hours as long as they do not exceed 48 hours a week. The LPA prescribes that an employer may not compel an employee to work overtime and an employee’s consent to work overtime is required. However, if the nature of the description of the work requires that it is continuous and a stoppage would damage the work, or the work is of an emergency nature, the employer may instruct the employee to work overtime on regular days or holidays to the extent that it is necessary. The maximum number of overtime working hours is limited to not more than 36 hours a week. The computation of the overtime payment for working on a working day must not be less than one-and-a-half times the hourly wage rate of a working day for the number of hours of work done. If an employee receives wages on a piece-rate basis, not less than one-and-a-half times the piece rate of wages of a working day must be paid for work done. No. The LPA is a strict law, which means that the parties (the employer and employee) cannot agree to waive the right and duties under this act or treat the other in a less favourable way than is stipulated in the act. Yes. An employee who works continuously for one year is entitled to six days’ paid annual leave. It can be postponed or accumulated depending upon the agreement made between the employer and employee. Yes. An employee is entitled to 30 days sick leave per annum with pay. If sick leave is taken on three or more consecutive days, a medical certificate is required. A sickness from a work-related injury does not count as absence through illness. An employee shall be entitled to leave for necessary business with pay (in any circumstance) subject to the work rule. Normally, prior notification must be provided to the employer. However, an unauthorised absence (without any reasonable reason) for three consecutive working days may be considered as ‘job abandon’, causing the non-payment of the severance pay to such employee. Apart from the benefits as agreed in the employment agreement or offered by the employer, the employer must compel to provide other benefits and facilities to its employees such as drinking water, restrooms, medical first aid (per the Ministerial Regulation on Labour Welfare dated 8 March 2005, issued by virtue of sections 6 and 95 of the LPA), or any safety appliances for certain occupations per the relevant Ministerial Regulations. Under the LPA, the employee is defined as a person who agrees to do the work for an employer in return for wages, regardless of the description of his or her status. This means that the part-time, fixed-term or probationary employee is considered as the employee by law, which is subject to the right and duties under this act. Thai law does not require the employer to publish information on pay or any other specific details about employees or the general workforce. There is no specific provision referring to post-termination non-competitive agreements. Such agreements can be considered as a restrictive covenant that prohibits an employee from performing any work in addition to the work so assigned by the employer during the period of employment, and which prohibits an employee who no longer works for the employer from working with any competitors for a specific period of limitation. In principle, any work performance outside the scope of work as agreed, especially working with another person or entity without the prior consent of the existing employer, would be deemed a violation of the employment agreement, entitling the employer’s right to terminate such employment. On the other hand, if an employee no longer works for an employer, the non-competition clause will be enforced after termination of employment is subject to the interpretation of the enforceability of such clause. whether the terms of such a clause are reasonable. In the case where the employee commits a wrongful act in the course of his or her employment, the employer is jointly liable with the employee for the consequences of such action. The employer is entitled to reimburse the payment paid to the injured person from such employee. Employees are subject to Thai taxation for their personal income tax filing and the withholding tax filing, as every resident and non-resident is taxable on their assessable income derived from employment or business carried out in Thailand, whether such income is paid in or outside Thailand. Some exemptions are granted to persons (eg, UN officers, diplomats, etc) under the terms of international and bilateral agreements. Personal income tax paid and absorbed by an employer (in effect giving the employee a net salary) is also considered as taxable income to the employee. The taxable income shall be calculated by the deduction of limited allowances and expenses and the progressive rate before the tax filing. Additionally, at the time of payment of the wage, income tax must be withheld by the employer from the assessable income paid to non-residents. Such withholding tax can be credited against year-end taxes. Yes. The employee’s invention is protected by the Copyright Act 1994 and the Patent Act 1979. The Copyright Act grants copyright protection on the scope of creative works in the way of literature, drama, music, visual arts and works, cinema, audio, broadcasting and other categories set out by this act. The author of the work holds the copyright to such work unless there is a written agreement between the employer and the author to waive the copyright. The employer is only entitled to publicise in compliance with the terms and conditions of employment. The author shall grant the protection against infringement by reproducing, adapting, publishing or renting a copyrighted work. Copyrights are automatically owned by the person that creates the works of expression and there is no need to be registered. For patents, an invention can be patented providing that such invention must be novel, involve an inventive step and be capable for the appliance in industry. The patent grants the holder the exclusive right to produce, import and sell products using the patented invention. The Trade Secrets Act 2002 is the principle legislation governing trade secrets in Thailand, protecting against misappropriation of confidential information such as formulas, programs, practices, processes, designs, instruments, patterns or compilations of information. Trade secrets are not required to be registered, unlike patents, but certain criteria must be satisfied in order to be eligible for trade secret protection. The trade secret’s owners are exclusively entitled to disclose, deprive of or use the trade secrets, or license someone else to disclose, deprive of or use the trade secrets. Trade secret owners can also stipulate any terms and conditions for the maintenance of the secret. In Thailand, there is no specific statutory law governing data protection or privacy. In general, general personnel data protection is bodied in the Constitution (recognition of the right of privacy), the Thai Civil and Commercial Code (personal data protection under the wrongful act) and various statutory laws in particular fields (eg, telecommunications, banking and financial businesses (specific businesses)). Additionally, a draft version of the Personal Information Protection Act is being considered and approved by the Thai Cabinet. Under the draft, personal data is protected by restricting the gathering, using, disclosing and transferring of any personal data without the consent of the data owner. Criminal penalties and civil liability are imposed for any violation of the draft. At present, this draft has not been finalised nor approved by the National Legislative Assembly. Typically, the employment issue would appear in connection with the amalgamation and asset acquisition rather than for share acquisition. The target company is still the employer and is continuously engaging in its business. It only results in the change of the shareholding structure of the target company without generating any impact on the company’s employment. In principle, asset acquisition does not affect the employment relationship between the transferor and its employees because the transferor remains the employer regardless of whether or not it will continue its business operation. In case the transferee intends to hire any employee of the transferor, the transferor’s employees will need to be transferred to the transferee. The employees must consent to the transfer of their employments, and they must be entitled to the same rights and benefits they previously enjoyed when working with the transferor. Otherwise, their employment will be deemed terminated and such terminated employees will be entitled to statutory severance pay. The employer may terminate an employee’s employment with cause and without cause, which will lead to different obligations of the employer by giving an advance notice and severance pay. The employer can terminate the employee with cause. The cause has a very restricted definition under the law, such as the dishonest performance of professional duties, intentional acts against an employer, intentionally causing damage to an employer, gross negligence, violation of the company’s work rules, absence for three consecutive days without sufficient reason or imprisonment. If the employer bases the dismissal on one of those grounds, the reason must be stated clearly in the dismissal letter. The balance of the salary should be paid within three days, but no further formalities should be taken into account. The termination with cause is more favourable as the employer is not liable either to pay the severance pay or give prior notice to the terminated employee. An employer who wishes to terminate an employee’s employment with no cause must pay severance pay to an employee per the requirement as provided by the LPA. However, in case the employment agreement has an indefinite period, the prior written notice must be given to the employee at or before any time of payment, and it will be effective on the following time of payment, although not more than three months’ notice is required. Payment for an equivalent length of time can be given in lieu of such notice. In cases where the employer terminates the employee’s employment, all the employer is required to pay is the balance of compensation within three days after the effective termination date. The termination notice must be provided only for termination without cause. Such notice must be given in writing to an employee at or before the date of payment but not more than three months, otherwise the payment in lieu of notice shall be paid to the employee. An employer may terminate an employee’s employment with immediate effect without giving advance notice or payment in lieu of notice for the termination with cause (eg, the dishonest performance of professional duties, intentional acts against an employer, intentionally causing damage to an employer, gross negligence, violation of the company’s work rules, absence for three consecutive days without sufficient reason or imprisonment). Additionally, if the employee is hired for an indefinite period, the LPA and the Civil and Commercial Code require the employer to provide the employee with notice of termination. 300 days where the employee worked for the company for more than 10 years. In general, in a case where the employee is hired for a definite period, an employer shall terminate an employee’s employment without any requirements. Conversely, if the employee is hired for an indefinite period, the notice of termination must be provided to an employee at or before the date of payment, but not more than three months’ notice is mandatory. There are some circumstances that require government approval or notification to the authority prior to the termination. For instance, a member of an employees’ committee can be dismissed subject to the court’s permission or in cases where termination is a result of the reorganisation of an undertaking, production line, sale or service due to the adoption of machinery or the change of machinery or technology causing a reduction of employees. The employee shall not be dismissed for reasons of pregnancy or labour union activities. In principle, there are no special provisions for mass terminations under Thai law. The liabilities of an employer shall be determined on a case-by-case basis for each employee. Thus, each employee might not receive the equivalent severance pay, pay in lieu of notice and other compensations from an employer. A class action lawsuit is available in Thailand. A group of employees having the same interests and rights related to labour can file a petition as a class action. Class members may opt out of the class action and pursue individual claims. On 1 September 2017, the new Labour Protection Act (No. 6) 2017 became effective. This amendment establishes a statutory retirement age for all employees at 60 years of age. From now on, if the work rules or employment agreement have not set the retirement age or have set the retirement age at above 60 years of age, the employee when reaching 60 years of age has the right to retirement and will be entitled to severance pay in line with the number of his or her years of service. The parties may agree to resolve a dispute in relation to the rights or duties from an employment contract by a private arbitration. The dispute relating to the rights and duties set out by the laws cannot be settled by a private arbitration (eg, severance pay, pay in lieu of notice, etc). In Thailand, a person can file a lawsuit to the court when his or her rights or duties were challenged. In this case, the rights or duties can be both statutory rights or contractual rights. Therefore, if an employee agrees to waive statutory and contractual rights after the termination date, there will be no legal ground to pursue the lawsuit and the case will be dismissed. claims for the interest and surcharge of wages, overtime pay, holiday pay and holiday overtime pay, in cases where an employer fails to pay such money, are five years. A new Royal Decree on Managing the Work of Aliens B.E. 2560 (2017) became effective on 23 June 2017. It repeals the two main pieces of legislation regulating foreigners working in Thailand, namely the Royal Decree on Bringing Alien to Work in the Kingdom B.E. 2559 (2016) and the Alien’s Work Act B.E. 2551 (2008) (collectively the Previous Legislations). The Royal Decree still upholds the main requirements and principles of the two Previous Legislations but brings the provisions up to date and addresses some new issues to reflect the current situation in the country and improve the management of foreigners who are working in Thailand. This Royal Decree has addressed significant changes by tightening the rules and reinforcing penalties and other sanctions for employers who violate the new rules. For example, the new definition of work has narrowly prescribed to ‘exerting one’s physical energy or employing one’s knowledge to perform a profession or perform works, whether or not for wages or other benefits’. In addition, the Royal Decree increased penalties and prescribed new penalties for various offences. Even though the new Royal Decree has superseded and replaced the old act, however, the existing rules and regulations issued under the Previous Legislations remain valid and enforceable to the extent that they do not conflict with the Royal Decree. This includes the requirement associated with applying for a work permit. Be advised that existing work permits that were issued before the Royal Decree came into force are still legally valid until the term expires. Furthermore, a new Labour Protection Act (No. 6) B.E. 2560 (2017) was enacted on 1 September 2017. The main changes are: (i) the retirement age of employees is fixed at 60 years of age; and (ii) companies that employ 10 or more employees are no longer required to submit their work regulations to the Ministry of Labour; however, they should publish and post these work regulations conspicuously to ensure employees know and can find the regulations. The Labour Protection Act had not previously set the retirement age, and employers had not been required to set an official employees’ retirement age as company policy. Once an employee turns 60 years of age, they will have two choices: resign or continue working until employment is terminated. In case employees opt to continue working after 60 years of age and later decide to resign, they will not be entitled to the statutory severance pay from their employers. This amendment establishes a fixed retirement age for all employees at 60 years of age, resulting that they will be entitled to severance pay once they have reached 60 years of age, and retirement will be considered as a form of job termination, requiring employers to compensate retiring employees. 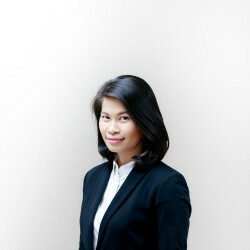 Pisut & Partners is a leading international law firm based in Bangkok, Thailand, having profound connections with international law firms across the region and other continents.